Potty training and travel do not always go together well. 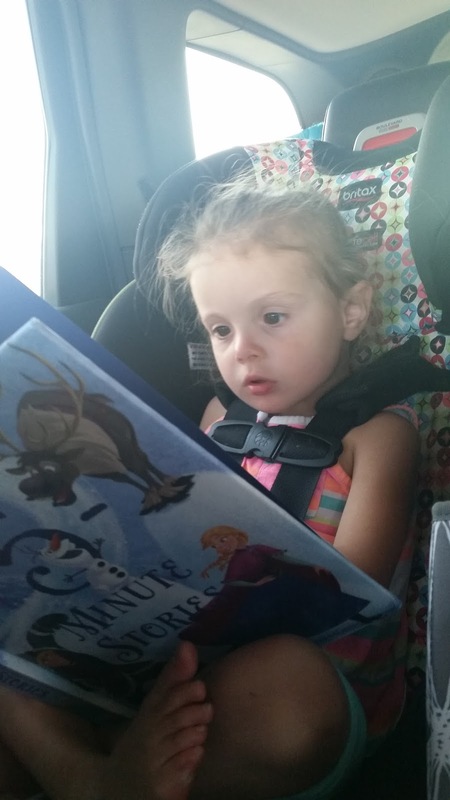 We are working with our daughter to help her have success with using the potty but long car rides make it difficult. We recently did 2 major trips with our 3 year old and we learned a few things I would like to share with you! A travel potty or small plastic potty. We set up our daughter's little plastic potty in the back of the Jeep. When she had to go she would tell us and Hubby would find a safe place to pull over. We would take her to the potty and we were even able to close the back liftgate so she could have privacy. Our travels took us to places where there were few bathrooms available. Having the little potty meant that she could go whenever she felt the urge. Accidents are bound to happen on long car rides. We brought a couple towels to help soak up any mishaps in the car seat. Honestly, you shouldn't go anywhere without these! They are great for helping clean up mishaps, wiping out the potty and cleaning up your child. We did our best to avoid using pull-ups. Everything you read says to avoid using them so as to prevent your child from regressing. This is great advice but I packed a few just in case. As it turned out, Miss E's tummy was quite bothered by the water in one of our destinations. This meant that she had about 10 seconds warning before she needed to go potty. Yikes! We used the pull-ups and encouraged her to try and make it to the bathroom, which she did most of the time. Remember to make frequent stops for your little ones. They don't have the ability to hold it as long as adults do. We made a point of asking her if she needed the bathroom every 45 minutes and stopping at least every 1.5 hours. This adds a lot of time onto the trip so make sure you build that time in if you are on a deadline. Give praise and encouragement. Like all other potty training, it is important to keep a positive attitude with your child. We made a big deal every time Miss. E told us she needed to go and thanked her for remembering to ask. We also praised her for every successful potty break and all the times she stayed dry. How does your child do on long car rides? I would love to hear any tips that you may have!